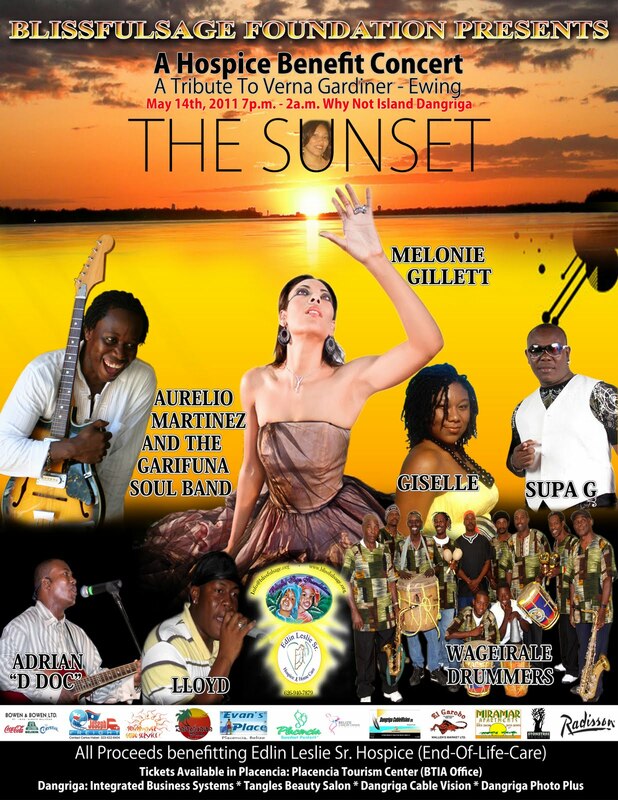 Break out your dancing shoes on Saturday night May 14, 2011 at Why Not Island-Dangriga, Belize!! It’s a fundraising event and all proceeds will go to benefit the Blissful Sage Foundation for Hospice Care in Belize. Raquel Battle and the Blissful Sage foundation’s general mission of this hospice program is to support those who have been diagnosed with cancer, are terminally ill and have been determined by a physician to be within their last six to eight months of life. Their goal is to assist patients in managing pain, and other symptoms, so that they can enjoy the last few moments of their lives with their loved ones. Come out and have fun and at the same time support a worthy cause! 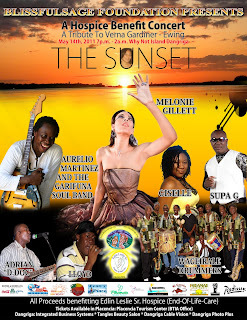 Oh, and also get caught up with Belize’s musical stars. It was a lot of fun. The stars came out to support a worthy cause. I missed Supa G. But Aurelio was worth waiting for. BTW Aurelio will be performing at Bliss on May 27 and 28. It was great hanging with you at the benefit concert.